Partner Helping with Cloth Diaper Laundry? I secretly love doing my Cloth Diaper Laundry. I don’t know why because I hate doing the regular laundry for my house. There have been a couple times I have not been able to do my beloved cloth diaper laundry and the “duty” fell onto my husband. Now, every time he has had to do the laundry I have had to repeat my instructions over and over. I guess it’s because he knows how precious these cloth diapers are to me and how much special care I give them. 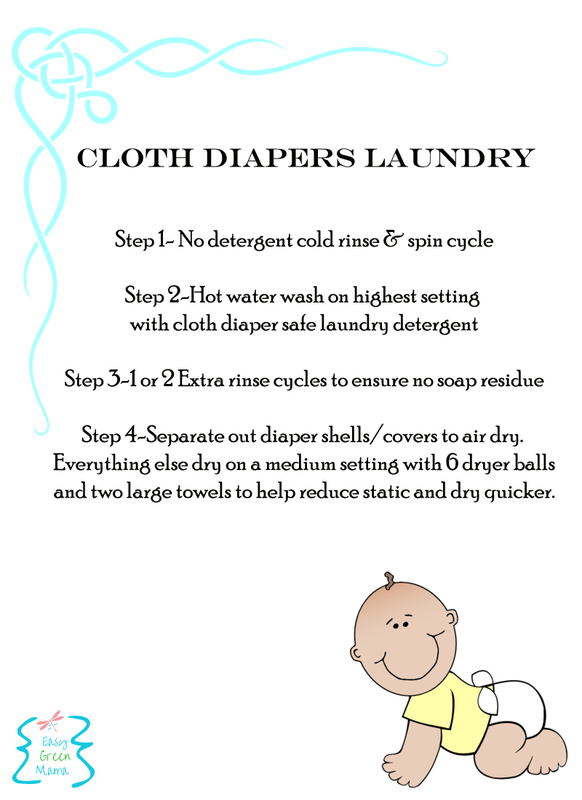 So in preparation for the next time I am unavailable to do my Cloth Diaper Laundry I created and posted this Easy Instructional Cloth Diaper Laundry Printout. In hopes I will not be bombarded with question and confirming he is doing it correctly. Your Laundry Routine is most likely different then mine, but if it’s the same fell free to print and use mine! You can easily make one of these on your own either write it out or use your computer! Do you allow anyone else to help with your Cloth Diaper Laundry? We are far beyond cloth diapers with a tween in the house, but I sure had my husband help with it. It’s a team effort!! I used to love doing our cloth diaper laundry too. I would hang everything out on the clothes line to try, and my neighbors thought I was strange (which sometimes is a good thing hehe), but I do miss the sun fresh smell of diapers and my daughter helping me hang the diapers up. I love this! I could use this for my husband and the maid! I don’t trust them right now, but with this, maybe I will! This is great list for husbands and baby sitters.